While two powerhouse comic book companies were defining themselves as either bright and fun or brooding and provocative, Dark Horse Comics was redefining the dichotomy with the character known as Hellboy. The wisecracking demon was adapted to film in 2004 by a relatively new director named Guillermo del Toro who it turned out would be the perfect visionary to bring this unique world to life. I don’t want to use their names because Dark Horse and Hellboy deserve their own article, but we have all been so familiar with the aesthetics associated with those other characters for so long, that even when done masterfully they all feel like they come from a similar place. Because they do. Hellboy, and its Mexican-born director, look and feel different in every frame because they are made from a different perspective. I could gush over del Toro all day – and it can be difficult to profess a visual masterpiece when the picture-to-word market tends to favor the former – but it absolutely has to be stated how gorgeous this movie is and not because of fancy computers and special effects but from ingenious makeup, costume, and set design. Ron Perlman was the only choice to play the titular character and is sublime at balancing humor, crudeness, and charm with anxiousness, loneliness, and a fear about his true nature. Most superheroes are imbued with a kind of moral righteousness – a deeply held belief that they stand for what is right. Hellboy carries the concern that he isn’t in control of his destiny rather than personal doubt. Selma Blair’s Liz Sherman, and Hellboy’s love interest, wears these concerns more outwardly, allowing the audience to identify with her pain, struggling with powers dangerous to those around her. Abe Sapien, who brings wit and pith in abundance, is also estranged due to his amphibious form. The heroes in the Hellboy universe are all plagued in some way, never being bestowed with godlike powers, often pining for normalcy. Hellboy nails this central theme. It takes us down a path where we must ask ourselves about how much we are really just a product of where we come from and what we look like. Do we really have free will? Is it true that you can love whoever you want, all else be damned? These are difficult questions that this breathtaking-to-behold film asks in between smoking cigars and crushing beer cans. 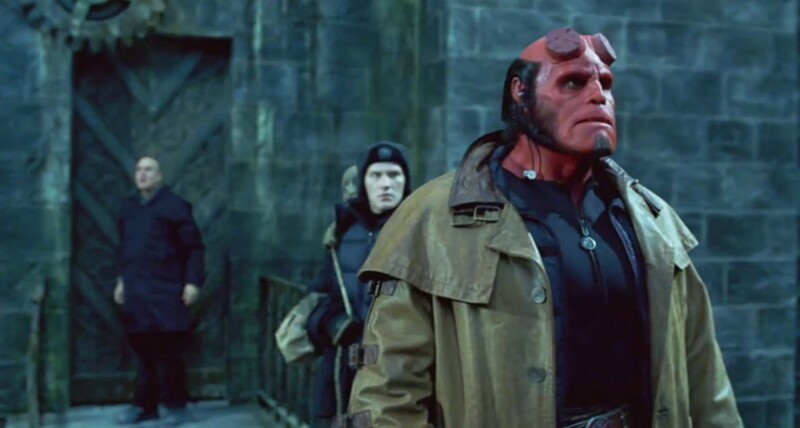 Hellboy is overflowing with heart, humor, and spectacle that manifest in a unique tapestry not found anywhere else in film.